Super Mario Odyssey features a few different mini-games. Each one comes with its own leaderboards. Unfortunately, a glitch in the game is allowing some players to achieve astronomical scores that wouldn’t be possible otherwise. The “talkatoo glitch” has been making the rounds as of late. 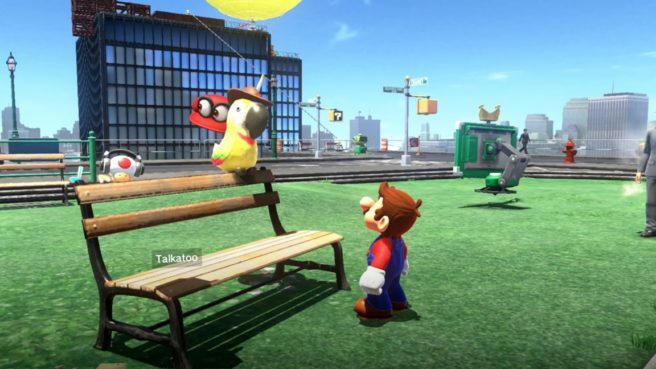 By hitting and speaking to the hint-giving bird at the same time, the camera locks in place and can interrupt animations. Players are taking advantage of the glitch to max out the highest possible score of 99,999 in New Donk City’s jump-rope mini-game. We have a feeling that Nintendo will patch out the glitch at some point. Something may have to be done with the leaderboards as well. Will Nintendo reset them, or will they remove every entry of 99,999?